The material contained in this website is provided for general information purposes only and does not constitute advice of any nature whatsoever. You should read the following terms and conditions carefully as the use of this website indicates that you accept these terms and conditions. If you do not accept the terms and conditions then do not use this website. This website and these terms and conditions are subject to change at any time without notice. The materials contained on this website (such materials, include, but are not limited to, the artwork, layout, design and other elements of the website and any text, information, data, software, documentation audio, video, logo, services or any other materials contained on the website) are owned or licensed by Jackie Burke (“Jackie Burke”) and are protected by copyright and trademark law, international treaties, and other intellectual property rights. You may view, download, print, and copy materials on this website for your own personal, informational, non-commercial use, provided that (i) you do not modify the materials, (ii) any copies that you may make must be marked “Copyright Jackie Burke. All rights reserved.” and (iii) you retain all copyright and proprietary notices originally contained in the materials on any copies. You may not use, reproduce, display, post, transmit, or distribute any materials contained on this website for any commercial purpose. Nothing herein shall be construed as granting any license or right to use this website or any materials contained on this website except as expressly provided herein. All "The Secrets of Grindlewood" logos and all other marks annotated with the “TM” or “©” symbol are trademarks or registered trademarks of Jackie Burke. All other trademarks that may appear herein are the property of their respective owners. Information on this website may be changed or updated without notice. Jackie Burke may also make improvements and/or changes in the products and/or the programs described in this information at any time without notice. Jackie Burke makes no warranties as to the accuracy or currency of the information or products contained on this web site. This website is available to all users “as is” without any representations or warranties of any kind, either express or implied, including warranties as to merchantability or fitness for a particular purpose. Jackie Burke makes no representations, warranties or undertakings that this website will be free from defects, including, but not limited to viruses or other harmful elements. This website may contain inaccuracies or typographical errors. Information contained in this site may contain references to Jackie Burke products or programs that are not announced or available in all countries. Such references do not imply that Jackie Burke intends to announce such products, programs or services in any particular country. 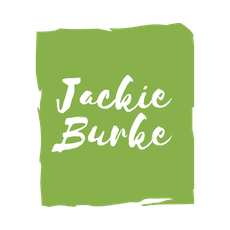 If you obtain a product or service from Jackie Burke from this web site that is provided without an agreement, that product or service is provided “AS-IS” with no warranties whatsoever, express or implied, and your use of that product or service is at your own risk. Jackie Burke does not want to receive confidential or proprietary information from you through this website. Please note that any information or material sent to Jackie Burke will, to the fullest extent permitted by applicable laws and regulations, be deemed NOT to be confidential. By sending Jackie Burke any information or material, you grant Jackie Burke, to the fullest extent permitted by applicable laws and regulations, an unrestricted, irrevocable license to use, reproduce, display, perform, modify, transmit and distribute those materials or information, and you also agree that Jackie Burke is free, to the fullest extent so permitted, to use any ideas, concepts, know-how or techniques that you send us for any purpose. Links to other third party websites from this website are provided solely as a convenience to you. If you use these links, you will leave this website. Jackie Burke has not reviewed all of these third party sites and does not control and is not responsible for any of these sites or their content. Thus, Jackie Burke does not endorse or make any representations about them, or any information, software or other products or materials found there, or any results that may be obtained from using them. If you decide to access any of the third party sites linked to this website, you do so entirely at your own risk. IN NO EVENT WILL JACKIE BURKE BE LIABLE TO ANY PARTY FOR ANY DIRECT, INDIRECT, INCIDENTAL, EXEMPLARY, SPECIAL OR OTHER CONSEQUENTIAL DAMAGES FOR ANY USE OF THIS WEBSITE, OR ON ANY OTHER HYPER LINKED WEBSITE, INCLUDING, WITHOUT LIMITATION, ANY LOST PROFITS, BUSINESS INTERRUPTION, LOSS OF PROGRAMS OR OTHER DATA ON YOUR INFORMATION HANDLING SYSTEM OR OTHERWISE, EVEN IF JACKIE BURKE IS EXPRESSLY ADVISED OF THE POSSIBILITY OF SUCH DAMAGES. The information contained in this website is for general information purposes only. The information is provided by Jackie Burke, and while she endeavours to keep the information up to date and correct, she makes no representations or warranties of any kind, express or implied, about the completeness, accuracy, reliability, suitability or availability with respect to the website or the information, products, services, or related graphics contained on the website for any purpose. Any reliance you place on such information is therefore strictly at your own risk. Through this website you are able to link to other websites which are not under the control of Jackie Burke. We have no control over the nature, content and availability of those sites. The inclusion of any links does not necessarily imply a recommendation or endorse the views expressed within them. Every effort is made to keep the website up and running smoothly. However, Jackie Burke takes no responsibility for, and will not be liable for, the website being temporarily unavailable due to technical issues beyond our control.